UV Performing Arts is a place where students of all ages and levels of ability participate in an array of dance, music, drama programs with professional instruction and wonderful performing opportunities. 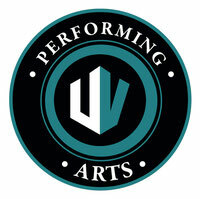 UV Performing Art’s faculty boasts outstanding professional artists, performers and teachers. Eri Usui-Villarral has been an educator, producer, choreographer and performing artist for the past 30 years in such places as Japan, Canada, and across the USA. She started training at age of 6 in all genres of dance such as Ballet, Jazz, Tap and traditional Japanese dance in Tokyo, Japan. In 1990, she joined professional program at Ballet Arts in New York and received a scholarship at Steps on Broadway. She has performed in several choreographers including Janis Brenner, Kathleen Cruz, and Vela Huff, as well as music videos, shows, and dancing for various artists around the city include Lincoln Center and Joyce Theater. She became a dancer/assistant director of Marcy Simon and Company in New York City and performed for six years. She moved to Seattle, WA in 2004. In 2010, she found ArtRise Dance – with where she taught various dance classes for youth and adult and directed performances and musicals including schools in Seattle and Canada. In 2017, she became an owner of UV Performing Arts – a place where students of all ages and levels of ability participate in an array of dance, music, drama programs with professional instruction and wonderful opportunities. She is an artistic director of youth performing group 'UV DANCE SQUAD' and supports their hard work and dedication for performing arts. She continues teaching, choreographing and producing classes and performances. Her goal as an educator is to inspire students to find their own voice in dance through movement and to support their journey as a performing artist. Stephanie Reese is an international singer, actress and philanthropist. Her solo career has taken her around the world performing roles such as Kim in the German production of Miss Saigon, Esmeralda in the Disney World Premier of the Hunchback of Notre Dame and Princess Tuptim in the King and I at the Palladium Theater in London’s West End, Princess Kogajin in a new musical Marco Polo the Untold Love Story at the Cultural Center of the Philippines and a La Viegtiem Theater in Paris. A versatile singer, who has done a sold-out solo performance at New York’s Carnegie Hall, performed shows with Patti Labelle and Natalie Cole. Kota Otsuka is a producer, singer and choreographer both US and Japan. He graduated The Lee Strasberg Theatre & Film Institute in New York. He was a first Japanese cast of HAIR with European tour and also joined Starlight Express in the German production. He was a dance captain of off Broadway musical Tarnish in New York City. 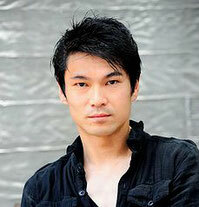 He is a director and producer of youth acting school 'Uni-Kids' in Tokyo, Japan. Nishihara Reina- began her Classical Ballet training at age of three and studied Jazz and Modern dance by her mother who is a director of dance school in Japan. She also started gymnastic when she was five years old and received 4th place at high school gymnastic competition in Tokyo. She moved to New York in 1995. She received a scholarship at Steps on Broadway and became an assistant teacher for Slam who is a lead dancer in Madonna's music video 'Vogue' and her world tour. She later joined the Alvin Ailey American Dance Theater school and performed as a soloist at their showcase. She currently a professor at International Dance School and teaches Ballet and Contemporary dance. She received several award such as first place for Modern choreographer in Chiba Art Festival and third place in Contemporary Dance at Ballet Competition in Yokohama.